This year is the year of Roaster! 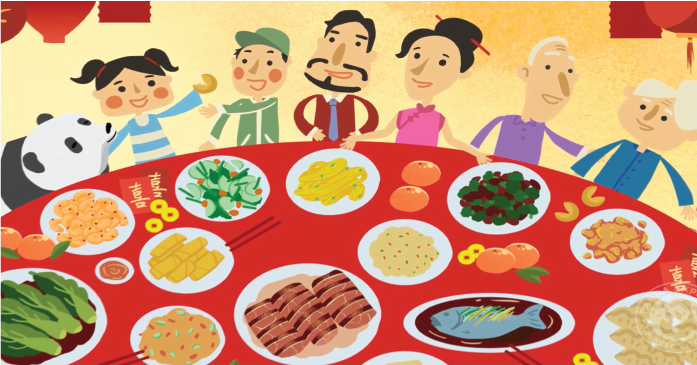 Let's prepare you for Chinese New Year 2017! This is probably the one time where people, especially the older folks, will embrace you if you decide to wear traditional clothing. The best thing about traditional clothing is that, you can wear it no matter what race you are. 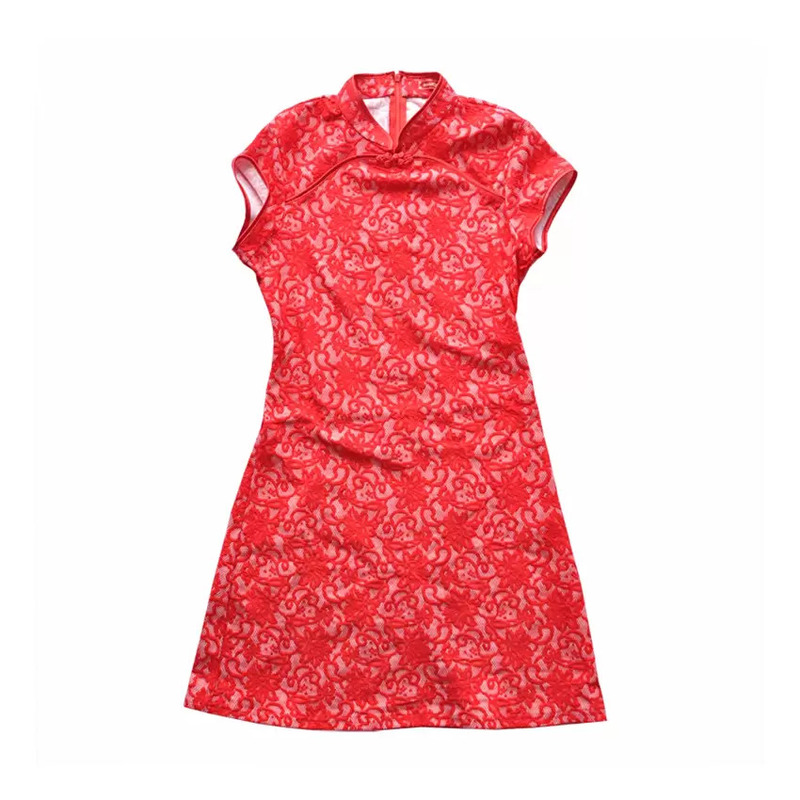 For females, this modern-looking red Cheongsam with floral motifs will catch people's attention from afar. It's also very comfortable as it is made from cotton. Food is an essential part in life. Hence, gifting someone a set of bowls and chopsticks can signify that they will never get hungry in the new year. 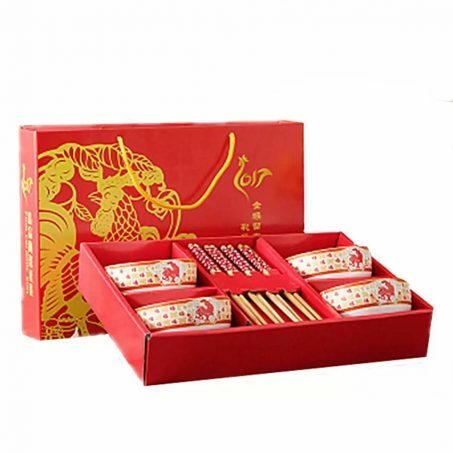 This luxury cutlery gift set is perfect for a family of four and it is made from good quality ceramic and wood. 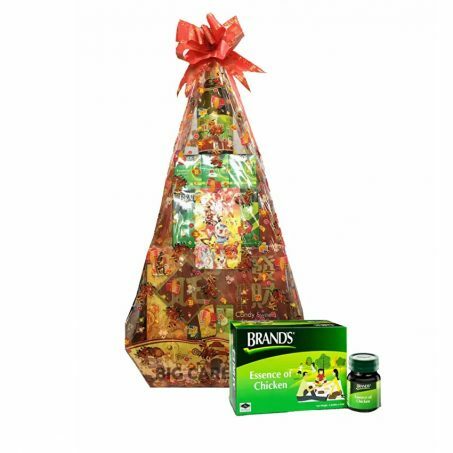 If you have no idea what to give as gifts, hampers are your best bet! They have everything for everyone in this conveniently packed set. This particular hamper set has Brands Chicken Essence, an apple juice drink, a large tin of assorted biscuits, various snacks, a 2017 calendar and even a limited edition Pokemon angpows (for you Pokemon fans out there!). Chances are, one of your friends have a pet. Or maybe, you want your dog to look ready for the new year. That is where dog clothing comes in! 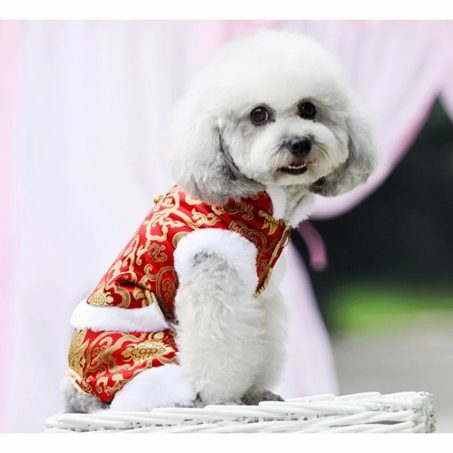 This particular costume will make your furry friend the most stylish one on the block! It has a very humanised design to ensure less hassle when putting them on your pet. Let's face it, our weather is getting hotter and hotter each passing day. It might be unbearable if you wear traditional Chinese New Year clothing all the time. That's wear T-shirts come in! With plenty of designs to choose from, these modern Chinese New Year T-shirts are cut from the finest cotton and are very comfortable and breathable. In Malaysia, the name “Tupperware” is very synonymous to “containers to store food”. As Malaysians, I'm sure we know someone (or even ourselves) who refers to every single container as a “Tupperware”. 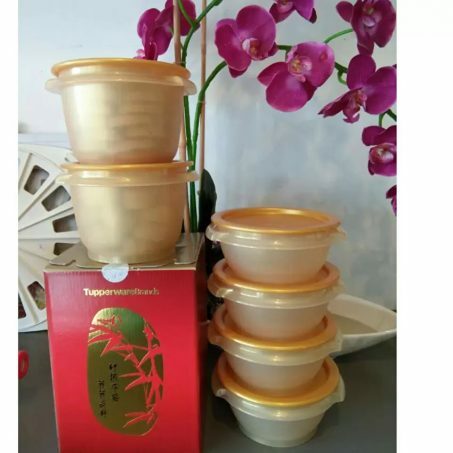 On this Chinese New Year, it's high time to gift them a real Tupperware! This super airtight Limited Edition Tupperware Golden Prosperity Set helps keep all Chinese New Year tidbits fresh and ready for people to snack on. 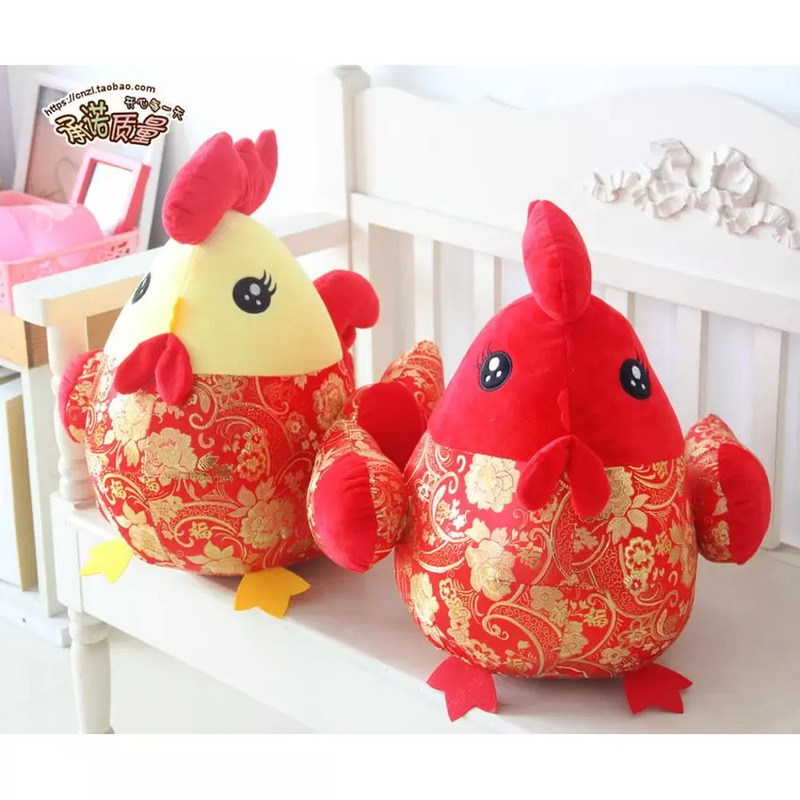 If you would like to give something to the younger ones, or just need some decoration to brighten up your home for this season, consider getting these rooster soft toys. 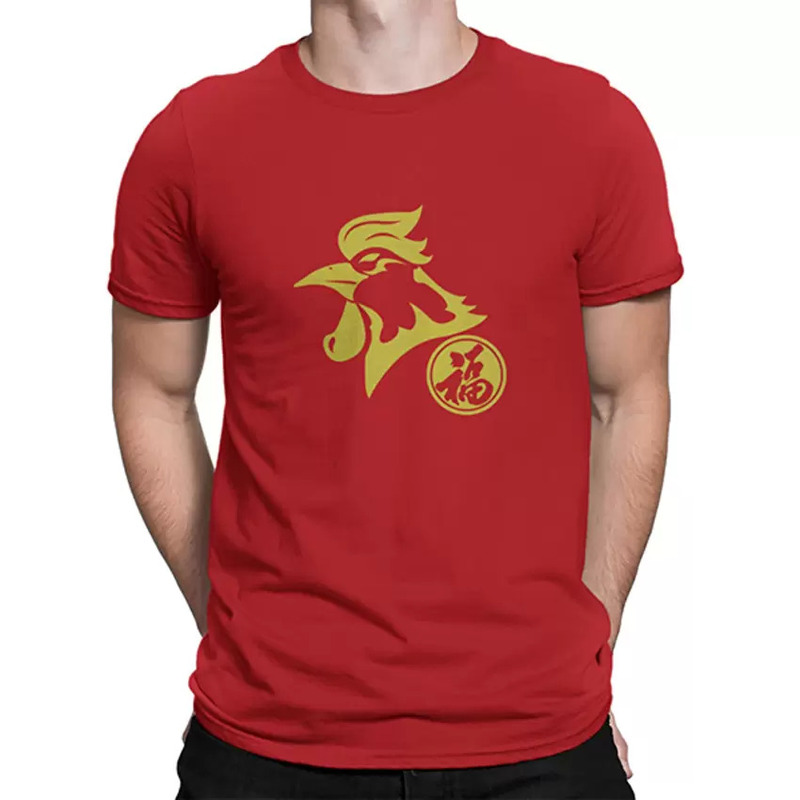 These cute and lovely red and gold rooster is sure to bring luck during the Year of the Rooster. With more and more people getting more health conscious nowadays, health food is another great option for gifts. 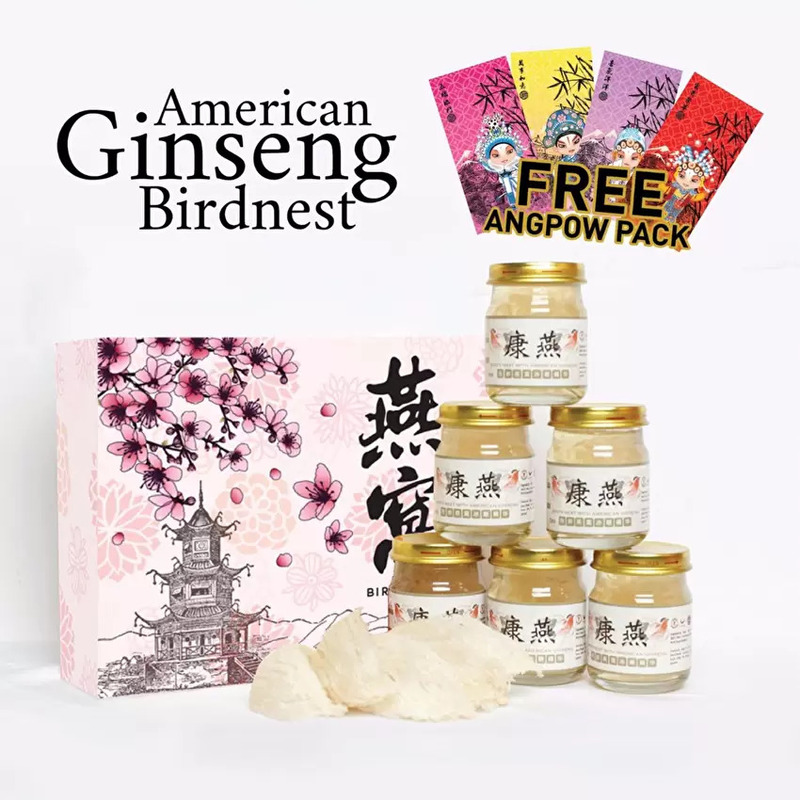 This particular hamper consists of 6 jars of American Ginseng Birdnest – great for increasing your body's immunity, complexion, and many more! Truly a gift of health. Disclaimer: The pricing is just a good indication of how much these products are. The prices could change based on the e-commerce promotions that are going on. Some of the products might not be available too, do email us at [email protected] if that's the case! Thanks!